Yesterday, we had a wall through the old market town of Ledbury near us here in Great Malvern and we stumbled across Coeur De Lion jewellery which is handmade in Germany. 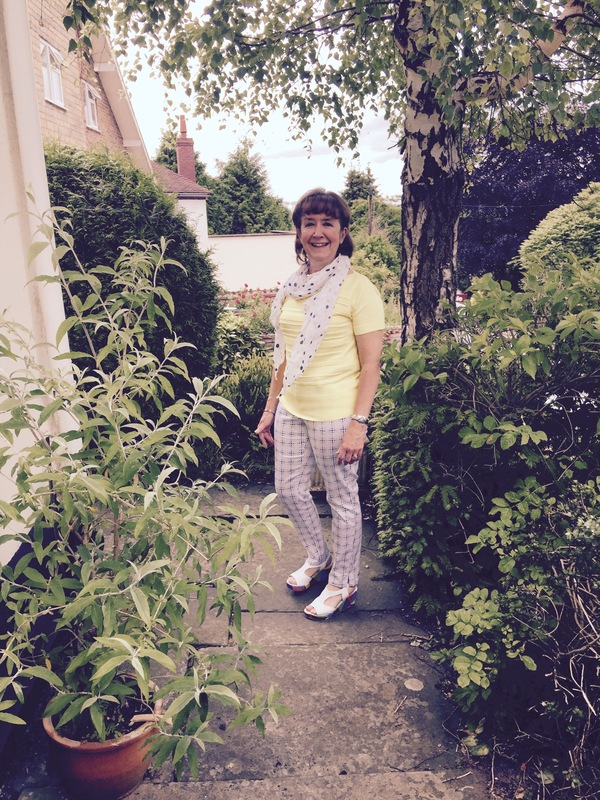 We instantly liked it and thought that it really worked as smart casual jewellery. This meant that Mrs P would be able to wear this style of jewellery a lot. The necklaces come in at just over the £100 pound mark so just a bit much for a spontaneous purchase. However, we have blogged recently about taking a long weekend break in Berlin and this has now been booked and on checking there is a jeweller selling Coeur De Lion jewellery less than a kilometre from our hotel. Guess one of these necklaces could well be Mrs P’s memento from Berlin! Below you can learn more of the brand. This has been lifted from their own website, a link to which you will also see below. 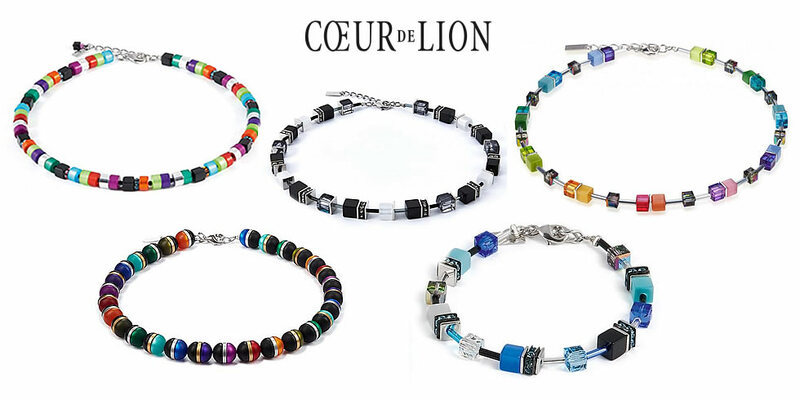 Handmade designer jewellery from COEUR DE LION can be recognised by its quality seal. Most of the steps in the manufacturing process at COEUR DE LION are completed by hand: from gluing, assembling and threading to roughening and filing a wide range of surfaces, the staff at our studios have to be dexterous. Our suppliers also do a great deal of work by hand, such as anodising aluminium. That is unlikely to change any time soon, because hands are quite simply the ultimate tools. The use of high-grade materials and extremely precise craftsmanship give designer jewellery from COEUR DE LION an exceptionally long life. After all, you want enduring beauty to last. To guarantee this, the whole manufacturing process – from the initial design to the painstaking final quality check – takes place in our Stuttgart studios. That is the only way to translate Carola Eckrodt’s timeless designs into refined jewellery which its wearers will enjoy for years to come. Genuine COEUR DE LION: look for the quality seal. 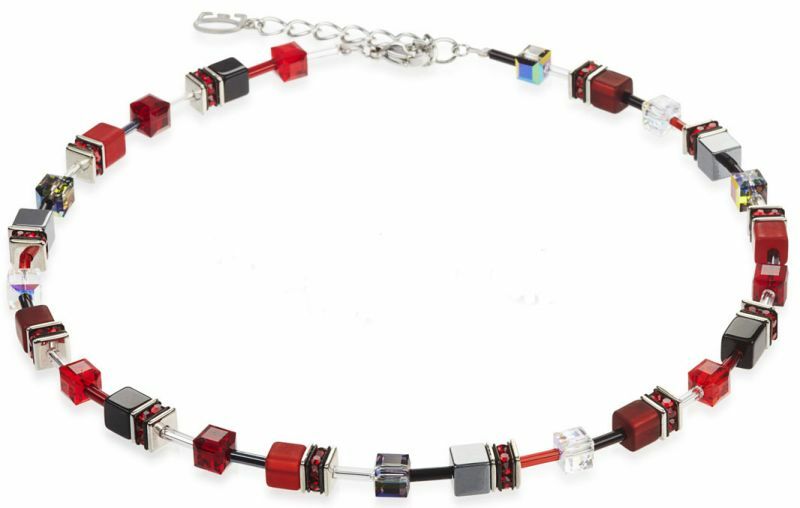 Every COEUR DE LION necklace and bracelet comes with a stainless-steel quality seal – your guarantee of carefully checked workmanship from our studios. Each jewellery box also contains a certificate of authenticity authorised by the stockist you buy from. This is our way of certifying that COEUR DE LION designer jewellery is of the highest quality and has been made to last. The history of the brand COEUR DE LION. JEWELLERY BRAND OF THE YEAR 2014. What an honour: only recently awarded the UK Watch and Jewellery Award, COEUR DE LION has been nominated for the second time in a row for this coveted honour. A big thank you to the jury. 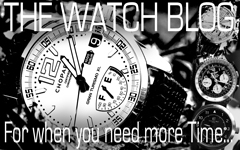 2014: COEUR DE LION has been selected as the “Best Jewellery Brand 2014” at the UK Watch and Jewellery Awards 2014, the most prestigious distinction in the sector in Great Britain. According to the jury, the deciding factors for this were a “primarily colourful and especially vivid brand” and the “impressive product variety”. We would like to express our warmest thanks and we view this honour not only as acknowledgement but also as a stimulus for further successful years. COEUR DE LION IS CELEBRATING ITS 25th ANNIVERSARY: THE COMMEMORATIVE MODELS. Twenty-five years of “The finest fashion jewellery” calls for a celebration. To mark this occasion, Carola Eckrodt has created the first limited commemorative models – reminiscent of the successful history of our company spanning a quarter of a century. The classic design from the renowned Geo Cube collection has been recreated with sparkling double spacers made from multicoloured rhinestone rondelles studded with crystals from Swarovski® in a limited edition of 2,500 sets. Another commemorative piece was the radial necklace crafted from diamond-cut, anodised aluminium, the base material with the silky sheen that COEUR DE LION has been using since 1987. Limited edition of 250 sets. Both sets are out of stock. FIRST! JEWELLERY MADE FROM DIAMOND-CUT ANODISED ALUMINIUM. COEUR DE LION is the first German company to work diamond-cut anodised aluminium into silky, glittering jewellery. Developing the ‘prototypes’ was a real challenge: to prevent unwanted scratches, the aluminium profiles had to be turned very slowly using a diamond tool. This is the only way of achieving a smooth surface to make the material attractive for long-term use as a jewellery component. COLOUR BRINGS JEWELLERY TO LIFE. Shortly afterwards, a process was employed alongside anodisation to deposit a protective oxidic coating just a few nanometres thick on the aluminium and thus protect the material from corrosion. The result was the first coloured anodised designs – in silver, gold, blue and red. The famous base material from 1987 is still used in Carola Eckrodt’s collections today. 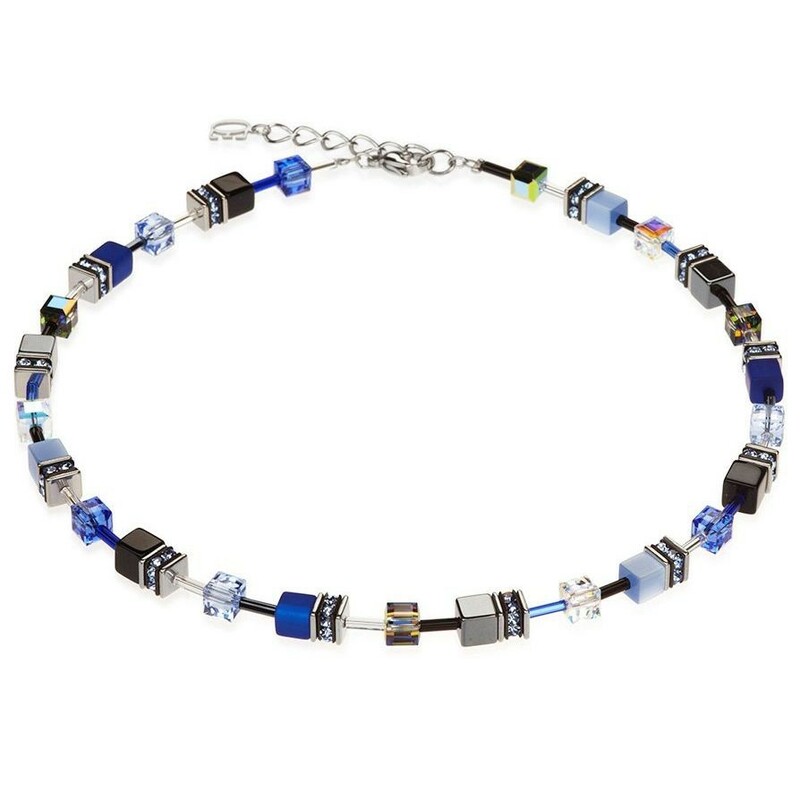 Also in 1987, the same year the company was founded, Carola Eckrodt presented her first creations using industrial parts at the Avantgarde exhibition in Munich, then the main trade fair for innovative fashion jewellery. Her partner Nils Eckrodt, who at the time had a holiday job with Mercedes-Benz, was able to supply the young designer with plenty of materials. The Dusseldorf-based couturier Hanns Friedrichs, who became a style icon as outfitter to Joan Collins, took an interest in the fledgling company and bought the complete first collection, which in addition to gearbox parts also incorporated rubber, petrol hoses and alloy steel. HOW TO MOVE WITH THE TIMES YET REMAIN TRUE TO YOURSELF. In 1987, the young couple Carola and Nils Eckrodt founded COEUR DE LION, named after an English Punk record label. The first pieces of jewellery were made by family and friends, sold by family and friends and – as a sign of true solidarity – worn by family and friends. Today, around 90 people work in the Stuttgart studios creating jewellery for women across the entire world. Our range always includes around 200 different necklaces, 150 bracelets, 300 pairs of earrings and 60 rings. Some 100 new sets are added each season. Categories: Accessories For The Lady, Friday Cool, Lady | Tags: Coeur De Lion, Jewellery | Permalink. Love dance, always dance even if you can’t. I’m talking to you Adrian. Categories: Friday Cool, General | Tags: dance, zaz | Permalink. Categories: Accessories For The Lady, Friday Cool, Lady | Permalink. So, here at Friday Cool we decided we needed a city/town break. Over the years we have ticked off Paris several times, Bruges, Amsterdam, Deauville, Rome, Venice and so on. We have always had a capuchino coffee approach with our culture, all light and frothy. This time though we wanted to be a bit more cultural. We want to look at the war museums, the architecture, the Bauhaus movement and of course as keen photographers the Helmut Newton Foundation. 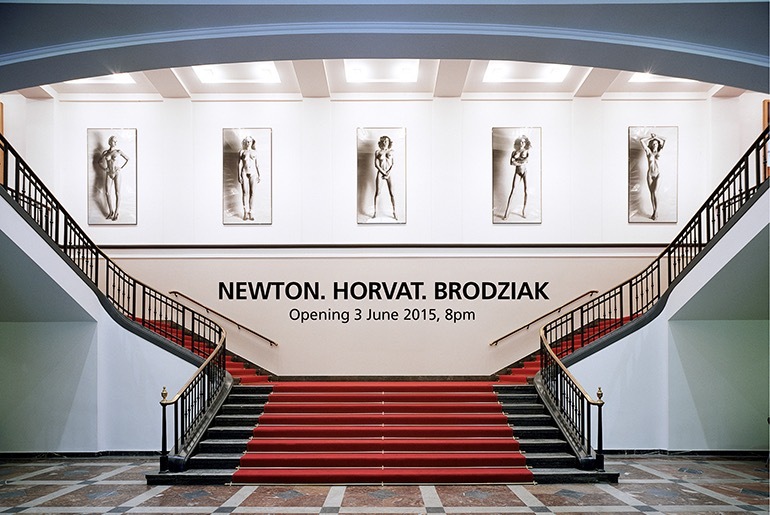 We want to come away with a wall photo taken in Berlin and in homage to the great Helmut Newton. A tall order indeed. This then will need planning and the first necessity is picking a Friday Cool hotel. A hotel with the right style , ambience and location. Hotel Zoo Berlin does this perfectly. The following is taken from The Daily Telegraph when it looked at the hotel after its latest renovation back in 2014. 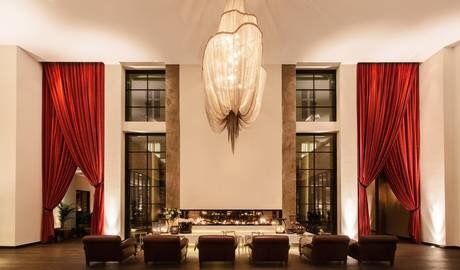 When Berlin’s Hotel Zoo reopened this November, it was a welcome return to glory for one of the city’s most glamorous properties. Originally built in the late 19th century as a private residence for notable Prussian architect Alfred Messel (responsible for the city’s Pergamon Museum), it was converted into a hotel in 1911. Having survived two world wars and the liberal experiments of the Weimar era, it emerged – somewhat remarkably – as the official VIP location for the Berlin International Film Festival (die Berlinale), hosting everyone from Romy Schneider and Marlene Dietrich to Hildegard Knef within its glamorous confines. It was the building‘s 1950s renovations that gave the hotel its current form. Overseen by architect Paul Baumgarten (who worked on the 1961 reconstructions of the Reichstag), the hotel gained two new floors at the front, an additional floor on each side wing and newly built bathrooms. The most recent renovations, completed over the last two years and unveiled in November, have added additional floors to the rear and side wings and a brand new 200sq m, two-story annex in the rear of the building that houses a ground floor restaurant and meeting rooms. From the dramatic entrance corridor, laid with a Diane von Furstenberg-designed 22-metre-long jade-colored carpet (complete with interwoven crouching leopards) it’s clear the new owners intend to re-capture something of the establishment’s post-war glory. A major part of this plan is the enlistment of Emmy-nominated husband-and-wife design team Dayna Lee and Ted Berner of Powerstrip Studio, whose backgrounds in Hollywood art direction, set decor and production design make them perfect fit for the challenge. While some of the features from the original building have been retained (exposed brickwork, old steel beams, gilt balcony balustrades on the facade), it’s Lee and Berner’s cinematic imaginations that provide the hotel’s most jaw-dropping moments. The same aesthetic awaits guests in the 145 bedrooms and suites. Ranging from 18 to 145 square metres, room are finished in gentle lilacs and creamy whites, and blend classic furnishings (leather armchairs, heavy curtains, walnut cabinets) with contemporary touches such as Apple TVs and fine-art fashion prints by photographer Andreas Kock. The bathrooms, which offer either rain showers or bathtubs, come with boutique products such as Maison Martin Margiela-designed towels and nightshirts, and a special designed nail polish – the same jade-green colour as the carpet in the hallway – by local cosmetic company Uslu Airlines. The 15 suites are especially indulgent – particularly the sixth-floor penthouse suites, which feature bespoke fireplaces, freestanding bathtubs and George Smith sofas, alongside floor-to-ceiling windows, spacious living areas and a walk-in closet. Back downstairs, the low-lit Grace Bar, with its handsome wooden bar, is ideal for intimate tete-a-tetes; and although it’s only used as a breakfast room at the moment, the spacious restaurant will soon be serving Asian cuisine with an Italian twist. If you do manage to get outside, you’ll find yourself slap-bang in the middle of the city’s most historic shopping boulevard. Berlin’s first Apple store is right next door, luxury boutiques abound, and the newly refurbished Bikini Mall is just around the corner. 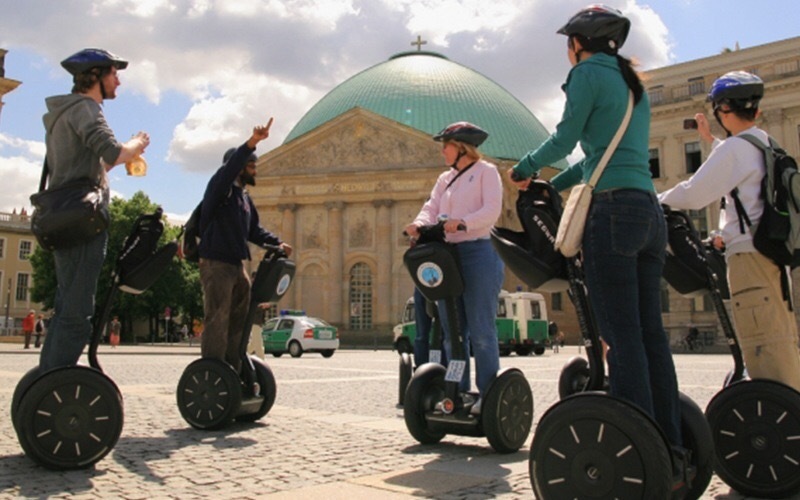 We will do a Segway tour for an overview flavour. berlin.citysegwaytours.com will fix this for us and then as said the Helmut Newton Foundation and The Bauhaus Museum are also on the list. Shopping is taken care of on the famous street the hotel is on, and jazz for the evening is nearby too. All I need then is the energy! Categories: Berlin, Cool City Breaks, Friday Cool | Tags: bauhaus, Berlin, city break, helmut newton | Permalink. I think Relco is calling me. 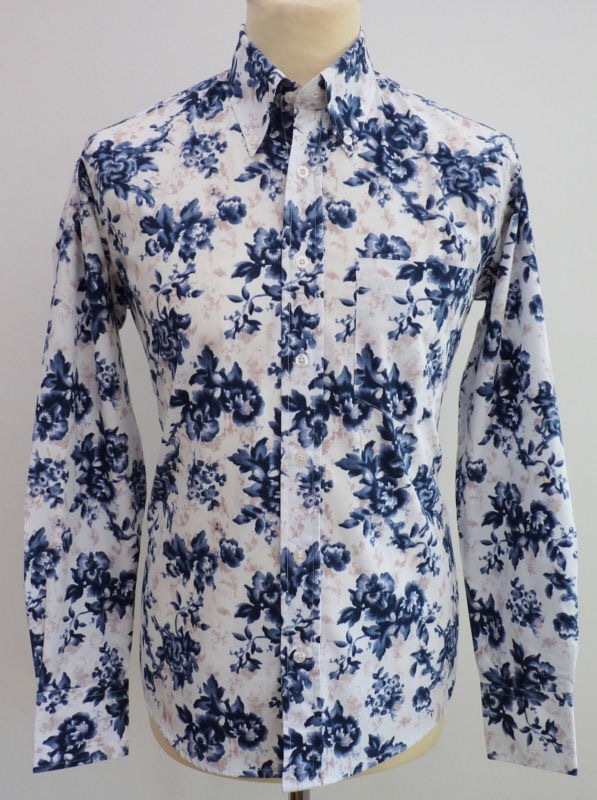 I think I have to bag me this shirt. 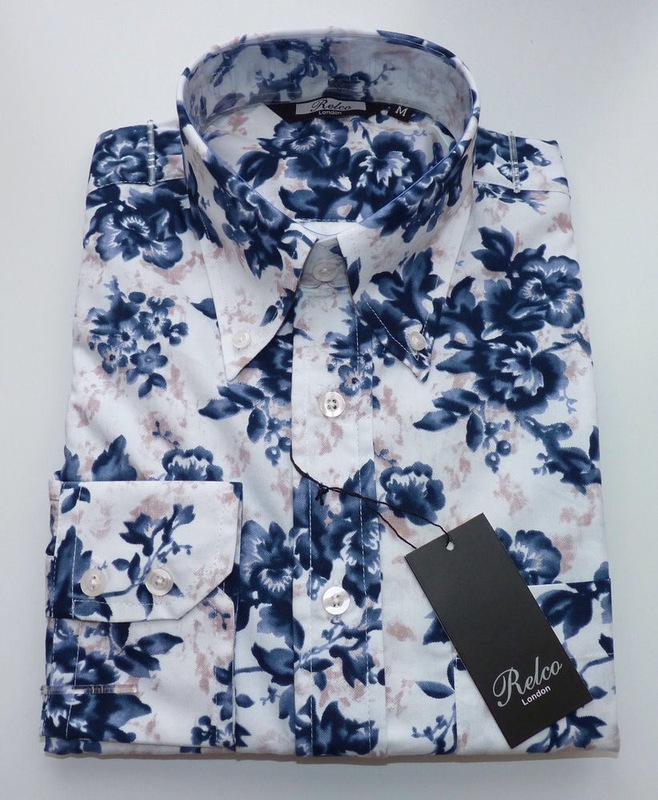 Categories: Accessories For Men, Friday Cool, Gentleman | Tags: floral, Relco, shirt | Permalink. Time I was thinking of a city trip with a bit of culture. Categories: Berlin, Cool City Breaks, Friday Cool, Wall of Want | Tags: Berlin, culture, Hemut Newton, road trip | Permalink. We were in Chester recently and we came across a Danish lingerie shop called Change. This beautiful bikini caught our eye in the window display and I had Lady P in the shop faster than you could say Jack Robinson. A pretty young assistant instantly and very helpfully came to our assistance and in no time Lady P was looking stunning modelling the bikini in the changing rooms. This would be perfect for our holiday in France and Italy later this year and the bikini was very flattering indeed. The assistance albeit delightfully packaged was very helpful and enhanced the shopping experience, so go for it have a mooch in Change on line or in one of their shops. This bikini which is what we bought is described (accurately I feel) as, Elegant and classic marine inspired padded bikini top. The structured material gives this style an exclusive look. Change describe their philosophy as below and I have to say I felt their staff training came up to scratch. At Change, we respect your natural beauty. That’s why our lingerie doesn’t dictate how your body should look or promise a whole new you. What it will do is give you a variety of styles in a fit that feels just right. It’s all about feeling beautiful. So feel free to express yourself. To explore the different facets of your femininity. And the woman within. This is the philosophy behind Change and the key to our success. When we design our lingerie in Denmark and manufacture at our own factories in China, our way of thinking is that every part of the bra should support the best of every woman. And she should experience the best quality for the best price. At stores around the world, we train our staff to provide superb service – to measure a woman and guide her to find the perfect bra that accentuates her in the best possible way. YOU. ONLY BETTER. Categories: Accessories For The Lady, Friday Cool, Lady | Tags: bikini, change, lingerie | Permalink.